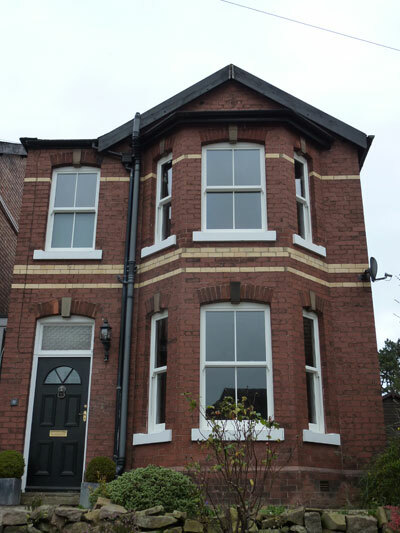 This delightful Victorian property in Duffield, originally had traditional pulleys and weights sliding box sash timber windows. The windows were single glazed and drafty. The windows were replaced with Wood Effect Timber Alternative Sliding Sash windows from the Bygone Collection to maintain the authentic appearance. The new double glazed windows have a rating of ’A’ for energy efficiency. The high quality Torso Balanced Springs replace the old pulleys and weights and the Bygone Collection have won awards for Security.